The next morning, after discovering in the middle of the night that my room reservation had been cancelled, I began looking for other accommodations. I began this adventure with much anticipation, as I have watched the Lord so faithfully throughout my life close one door to direct me through another, a much better door. So I told my loving Father that morning that I simply could not wait to find HIS accommodation for me – the room He had booked for me before I was born (Psalm 139:16). As I set out that morning, I thought back on my very first trip to Israel in March of 2005, and the room that had been planned for me so long ago. I had “escaped” to Israel to search for the only One who could understand my pain of rejection and abandonment after 28 years of marriage, and cry in His arms. 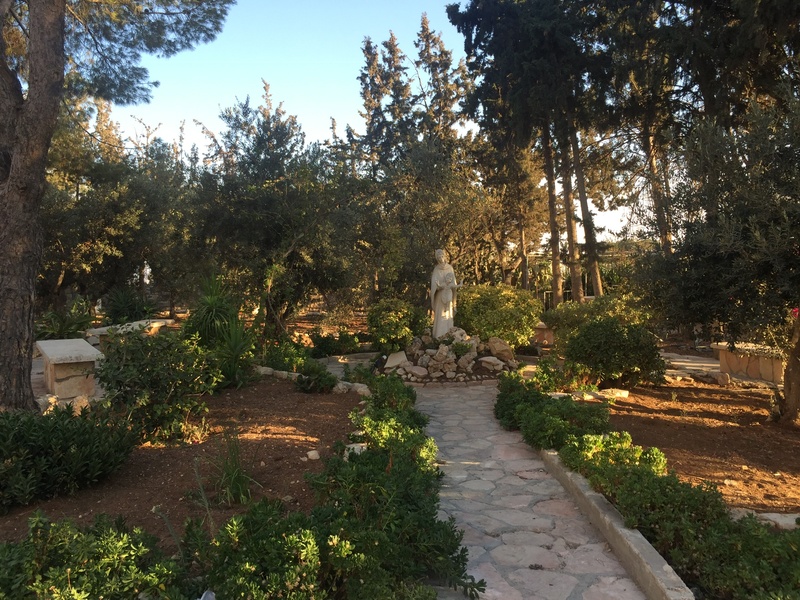 And I found Him in His place of rejection and abandonment – the Garden of Gethsemane, the “oil press” of tears. In 2005 the Lord provided a wonderful room for me in a convent inhabited by French speaking, and singing, nuns. The women’s quarters was full, by His plan, so that He could give me a very special room immediately next to the sanctuary. Each night I was sung to sleep, and each morning I was awakened by absolutely beautiful a cappella music. The sweet nuns sounded like a chorus of angels, specially sent to minister just to me. Truly, He surrounds us with songs of deliverance (Psalms 32:7). With this beautiful memory in mind, I set out that morning to look for a room in a convent or monastery.